All military and paramilitary US aircraft follow the simple but tediously named ‘1962 United States Tri-Service aircraft designation system’. Basically, every aircraft gets a baseline designation with an upper case letter indicating its role, followed by a dash and a number from a running series, and finally followed by a series letter. In practice, this means that the abovementioned bomber is properly designated B-52H. Of these, the series letter, in this case ‘H’, can usually be left out in everyday writing, as it adds little value to most readers. The major role letters are A for attack, B for bomber, C for cargo, and F for Fighter. In certain cases, another letter is added in front of the first one, indicating that there has been a change in role, e.g. RF-4 indicating a reconnaissance version of an aircraft originally built as a fighter. The most important aircraft in Northern Europe designated according to this system are the F-16’s of Norway and Denmark, the F-18’s of Finland, and the F-15’s of USAF that sometimes visit the Baltic as part of NATO Baltic Air Policing. The Hornet is somewhat special, as its dual fighter/attack-role is often emphasised by using the non-standard F/A-18 designation. If the series letter is included, it is noteworthy that several US planes are built in otherwise roughly similar single- and two-seater versions. As such, if one wants to include all Finnish Hornets in a text, the form F-18C/D can be used (C being the single-seater and D being the two-seater used mainly for pilot training). The main rules are: all letters are capitalised, a dash before the number, and no blanks at point in the designation. All aircrafts also have official names, but in many cases these are rarely used. The system is based on an earlier US Air Force system. Pre-1962 the naval aviators featured a more complex system based on different series per both role and manufacturer, leading to designations such as F8U-2NE, which post-1962 became F-8E. Russian (and Soviet before them) aircraft are designated according to which design bureau designed the aircraft. The first two letters of the family name of the design bureau founder are followed by a dash and a running number. Of note is that only the first letter is capitalised. The series is then indicated by one or more letters and potentially a digit. There are two exceptions: the famous bureau set up by Mikoyan and Gurevich had two designers, and as such they used three letters, ‘MiG’, where the ‘i’ is lower case and the other two upper case. The other exception is Yakovlev, where ‘Ya’ is a single Russian letter, meaning that the abbreviation ‘Як’ is spelled ‘Yak’ in English. Russian aircrafts usually don’t have official names. The main rules are: only capitalise the first letter before numbers (except in MiG), a dash before the numbers, no blanks at any time, and all letters after the number should be capitalised. When the above rules are followed, the designations should look something like Tu-95 or MiG-29SMT. Russian aircrafts also have a NATO reporting name. These are ‘official nicknames’, to enable easy identification of aircraft whose true designations might not have been known for certain, and to aid in identification during combat (words are easier to distinguish from each other over radio than numbers). The reporting names are given according to role, with bombers having names beginning with ‘B’, fighters with ‘F’, and so forth. Examples include the Tu-95 ‘Bear’ and the MiG-29 ‘Fulcrum’. Sweden has a rather simple system, not unlike the one used by the USA. The difference is that Sweden traditionally has not used more than a single role letter, and if the role changes the old letter is dropped and a new one is used instead (e.g. the ground-attack version of the J 21 fighter became the A 21). Some roles do however use two letters for the role description, such as ‘Sk’ for training (Swe. ‘skolflygplan’) or ‘Tp’ for cargo (Swe. ‘transport’). Another exception is that multiple letters have been used on the two latest tactical aircraft, the JA/AJ 37 Viggen and JAS 39 Gripen, to indicate that the aircrafts are capable of performing multiple roles. Unlike the USA and Russia, a blank is used instead of a dash between the role letter(s) and the numbering, but in a similar fashion to the USA a series letter is written in upper case immediately following the number, e.g. JAS 39C Gripen. The Swedish aircrafts all have official names, and these are commonly used, to the extent that the alphanumeric designation is not necessarily needed in everyday texts. The main rules are: all letters are usually capitalised (except in ‘Sk’, ‘Tp’, and ‘Hkp’), a blank before the number, and no dashes at point in the designation. All aircrafts also have official names, and these may be used without the alphanumeric designation. When Swedish aircrafts are exported, the designations may vary. E.g. Finland never used the J 35 designation on the Draken, instead referring to it as the Saab 35S Draken, or simply as the ‘DK’ (see below). Finland has a ridiculously simple system of designations, with each aircraft getting two letters, always written in upper case, and based solely on the name of the aircraft. The F-18 Hornet is e.g. the ‘HN’ in Finnish service, while the MiG-21 was ‘MG’. Historically, in a few cases a third subscript letter has been added to denote which engine an aircraft uses (in cases where the same basic aircraft was available with different engines), such as the ‘CUW’ for the Twin-Wasp powered Curtiss Hawk. The main rule is: both letters capitalised. As the Finnish designation system rarely makes anything easier and is used solely by the Finnish Air Force, it is normally not used in written text except in cases where the author is sure that the audience knows what he/she means, such as aviation books. Trust the British to make things (somewhat) complicated. The British military aircraft designation system is based on a role prefix that may be one to three letters long, followed by a mark number (given in Arabic numerals since 1942, before that Roman numerals were used). The prefix and mark number can be written together, or separated by a blank or a full stop, or then the letters ‘Mk’ to indicate mark can be included (in which case blanks are used before and after ‘Mk’). E.g. the current Eurofighter is designated Typhoon FGR4, but it can also be written as ‘FGR.4’, or (rarely) as ‘FGR Mk 4’. Which way of writing is preferred varies slightly from aircraft to aircraft, but in general the ‘Mk’ letters are losing ground to the other ways of writing (although it is still commonly used on older aircraft due to historical reasons). 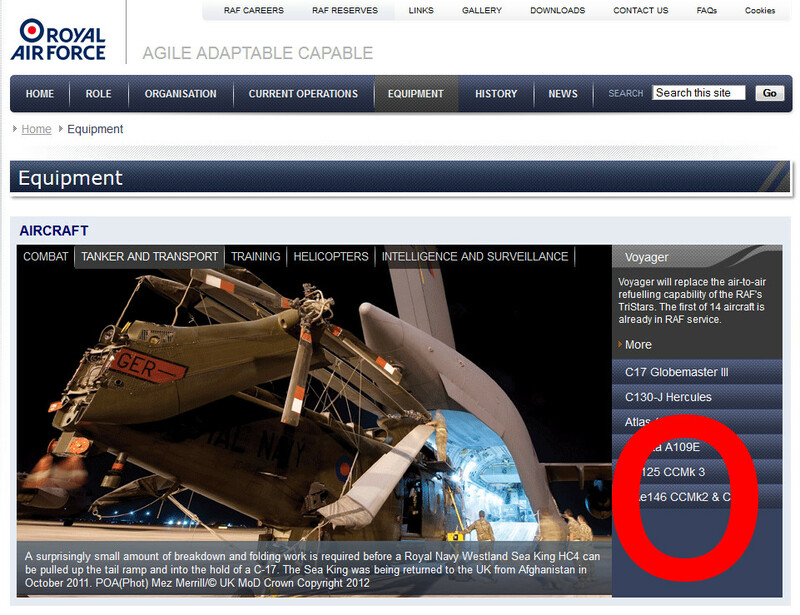 The main rule is: check how RAF writes it on their homepage, and copy-paste it from there. British aircraft designations: Not even RAF knows how to do it. ‘Aircraft’ in plural, not ‘aircrafts’. Otherwise a good post as usual. The Finnish Hornets are now F/A-18s, not F-18s. With the ground attack capability gained in MLU2, the air force is now using the F/A-18 in official communications, including their website. Point taken, didn’t know the Air Force had started to use the F/A-designation. Thanks for pointing out!